What to do during summers of junior years? What to do during summers of junior years? 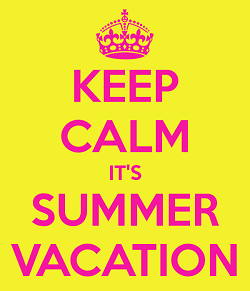 Hey engineers, believe me or not, summer vacations are the best time in the life of an engineering student, both to enjoy and utilize. With three to four months of break off from the routine study life, a student may do a numerous number of activities to keep himself busy and productive at the same time. The first and foremost activity other than enjoying and spending time with friends and family that every junior year engineering student must do is to indulge in a summer internship. Each engineering student must look to practically apply on what they have learned during the course of their academic program till the date and look for opportunities to see their actual implementation in real world. In junior year, summer internships are not hard to find by, reputed universities have their industry-academia offices which have a strong linkage with the industry personnel who help them get one matching their taste within some time. Once the internship is started, students must utilize their time by taking initiative to learn whatever is experimented in the industry for maximum fruitful outcome. With the advancement of technology, large number of technical and non-technical institute have started short diploma courses of four to six weeks in various disciplines for young students that help them groom by teaching them the use of basic software and hardware technologies which are not part of their academic syllabus. Such crash courses do come in handy in one aspect of work or the other. Still wondering What to do during summers of junior years? To brush up their skills, many students do not waste their time and start teaching the younger ones who aim to study engineering, few courses such as calculus and programming skills to get them well versed with how engineering kicks off. The prospect engineering students at a very early age are enthusiastic about learning such things and take keen interest to do with perfection. If a student has a research oriented aptitude, he may start applying during the course of his studies to a research center program oversee to explore about a subject that appeals him in order to get a better insight. Such centers are usually run and administered by highly qualified professors under whose shadow a junior student may learn a lot which could be very productive later on during the course of their degree. Learning well and getting good grades always help a student in one walk of life or the other, with his effort never going in vain. If a student believes that he has all the required command over a certain subject, websites like www.odesk.com , www.rentacoder.com , www.elancer.com and many others are meant for him. He could simply log on to the relevant section and look for online projects matching with his taste and earn up to thousands. Hence instead of wasting time by sitting idle in front of computers and tv, engineering student being in the junior year can do a number of productive activities to kill them time and get sometime useful out of it. I hope this article will help many engineering students in learning what to do during summers of junior years? Respected Madam, I am in first year of engineering education. It was my first summer after i completed 2 semesters. Will start in second year after this summer. I tried my best to find an internship but could not find one. So i took admission in some academy which was offering technical courses of 2 months related to Auto CAD, Pro Engineer. So i joined these courses. I have successfully completed my courses now and i have got certificates for that. That's impressive work. Thumbs up for you. One tip for you is that always keep practicing these software. Without practice, you will never remain the same. Always keep yourself updated and learn more features over time. Do some voluntary design projects for your seniors or college professors. That will help you in building up a great portfolio in future. Odesk.com was great to discover--thanks. Yeah it's a great website for freelancers. I did a lot of freelancing over there during my college years. Mostly in content writing, web development, graphic designing etc.